After the Supreme Court struck down existing death penalty laws as unconstitutional in Furman v. Georgia, 37 states enacted new death penalty regimes which sought to address Furman's concerns over the arbitrary application of the death penalty. In 1976, four years after Furman, the Court upheld several of these statutes. Justices Harry Blackmun and John Paul Stevens voted with the majority. In 1994, a few months before he retired from the bench, Blackmun famously, if belatedly, changed his mind. Stating that "the death penalty experiment has failed," Blackmun declared he would no longer "tinker with the machinery of death." 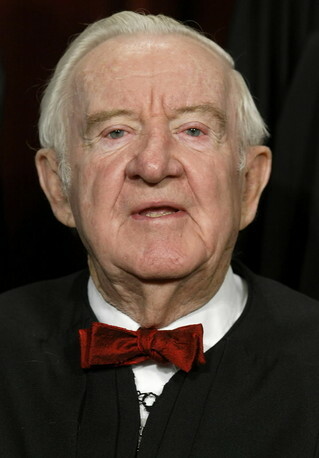 When Justice Stevens voted to uphold the constitutionality of the death penalty in 1976, he believed there would be sufficient safeguards in the law to ensure that it would be limited to a narrow category of defendants and that facts unrelated to moral culpability would be excluded from the sentencing decision. What Stevens did not account for was what he refers to as "personnel changes" which have resulted in "regrettable judicial activism and a disappointing departure from the ideal that the Court, notwithstanding changes in membership, upholds prior decisions." The Court, according to Stevens, overturned established precedent in several cases, leading to far "broader application of the death penalty," which he states would not have occurred but for the change in the Court's composition. Stevens cites the abrupt reversal of established case law which had prohibited the admission of highly emotional testimony on the impact of the crime on the victim's family which "could serve no purpose other than inflaming the jury." Legal principles did not evolve to warrant this change; what happened was that Justices Powell and Brennan were replaced by Justices Kennedy and Souter. Stevens provides other examples, including: (1) a case allowing death eligibility for defendants who participated in a felony that caused death even if they did not intend to kill; and (2) cases making it easier to exclude prospective jurors from capital cases if they express opposition to the death penalty even if they are willing to set aside their personal beliefs. Finally, Stevens criticizes the notorious 1987 decision of McCleskey v. Kemp, which upheld a death sentence in a Georgia case despite a comprehensive statistical study which established that in Georgia murderers of white victims were eleven times more likely to be given the death penalty than murderers of blacks. (Justice Powell, who wrote the McCleskey, later told his biographer this was the one case he regretted). Justice Stevens often claimed that he didn't move to the left, it was the Court that moved to the right. But it really can't be disputed that Stevens evolved over the course of his career and ultimately became, as the New York Times described him, "an eloquent voice for civil liberties, equal rights and fairness." Stevens, Blackmun, and recently-retired Justice David Souter as well, reconsidered their views on the death penalty and other issues based on their experience on the bench and upon seeing the impact their decisions had on people and on society at large.